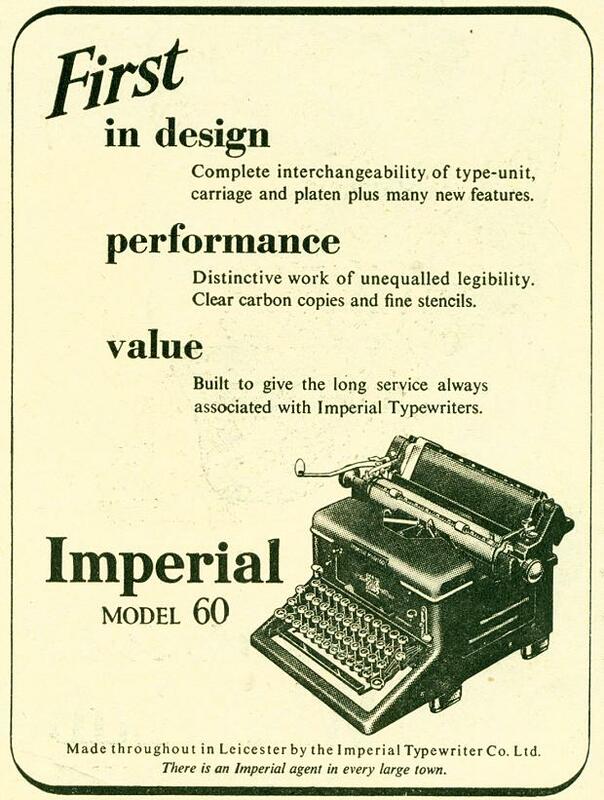 Advert Museum - Imperial Typewriter Co. Ltd. I have this typewriter too! Does anyone know where I can get ribbon for it? I am trying to find the value of this typewriter, it was left to by my mom when she passed away.